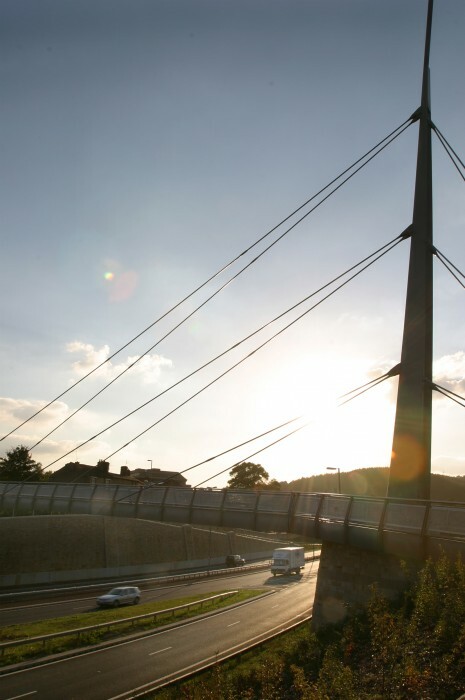 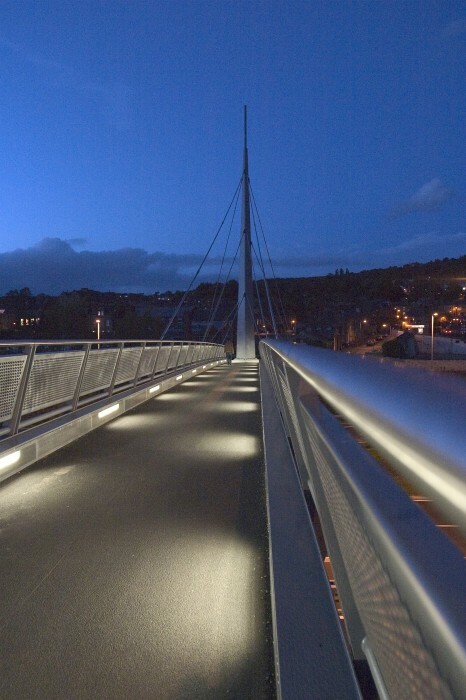 A local, iconic landmark structure which provides a safe, yet stylish and economic method of transporting pedestrians over the A650 Dual Carriageway in Bingley, West Yorkshire. 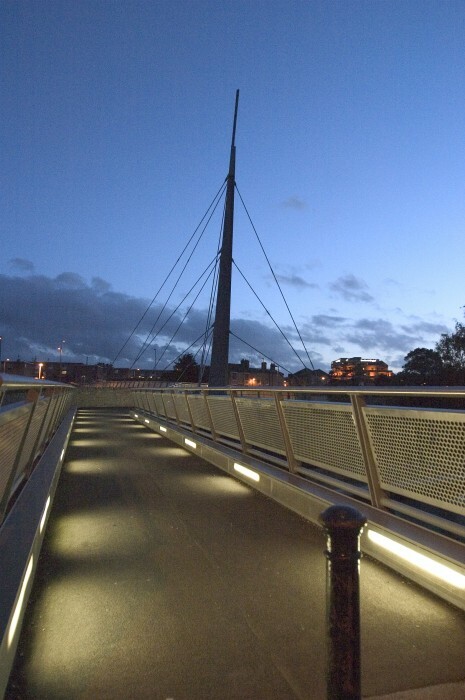 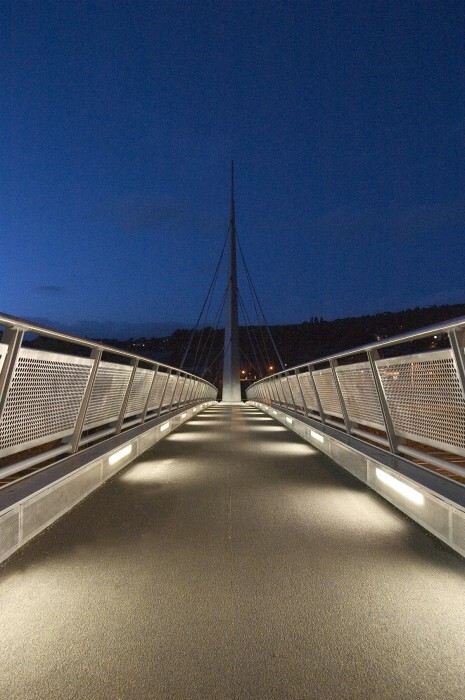 The bridge creates a dramatic visual impact for users of the bridge, with the users perception altering at different points along the bridge due to the curvature of the walkways alongside together with the curved and tapered pylon. 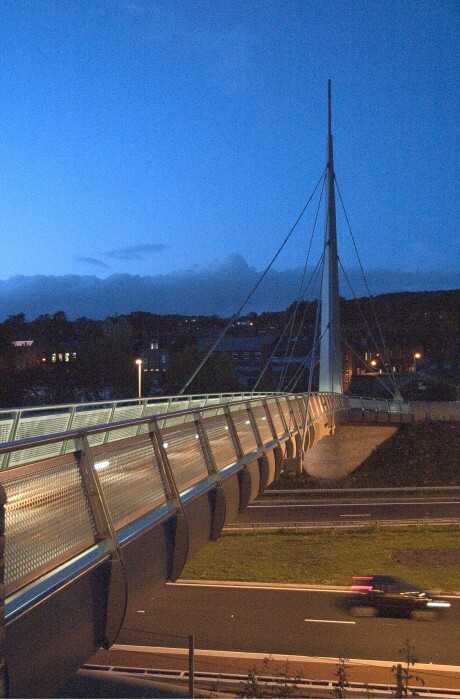 The scheme received the Prime Minister Building of the Year Award in 2004 as well as a Bradford District Design Award for Architecture in the same year.